Risotto can be a bit challenging if you have never cooked it before. It will probably take a couple of tries before you get it just right. I always follow this recipe from and add my own ingredients or experiment with flavors. I would recommend leaving out the peas with this version of the Risotto. Follow along with the recipe. 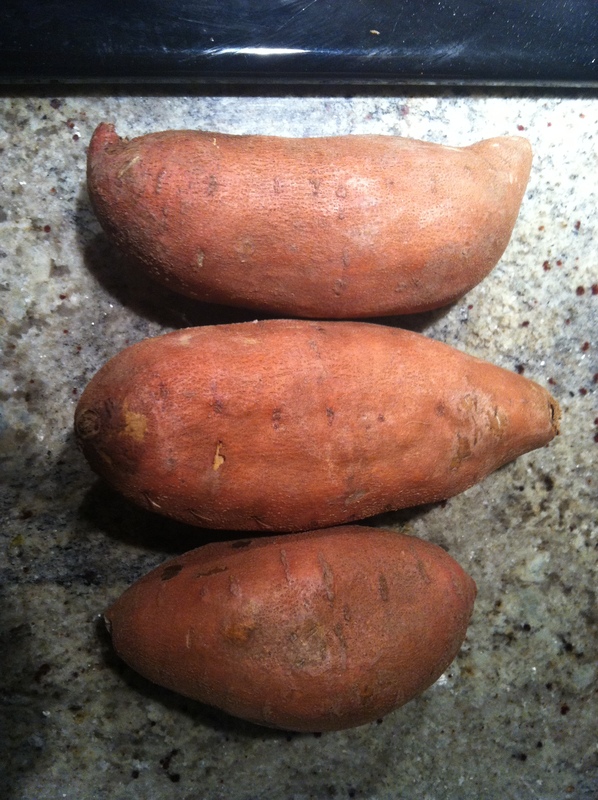 While the risotto is cooking, roast the sweet potatoes in the oven around 400-450º until they are soft. Remove and set aside. The last five minutes before the risotto is done, spoon out small pieces of the sweet potatoes, add the garlic and stir together to cook for another 5 minutes. 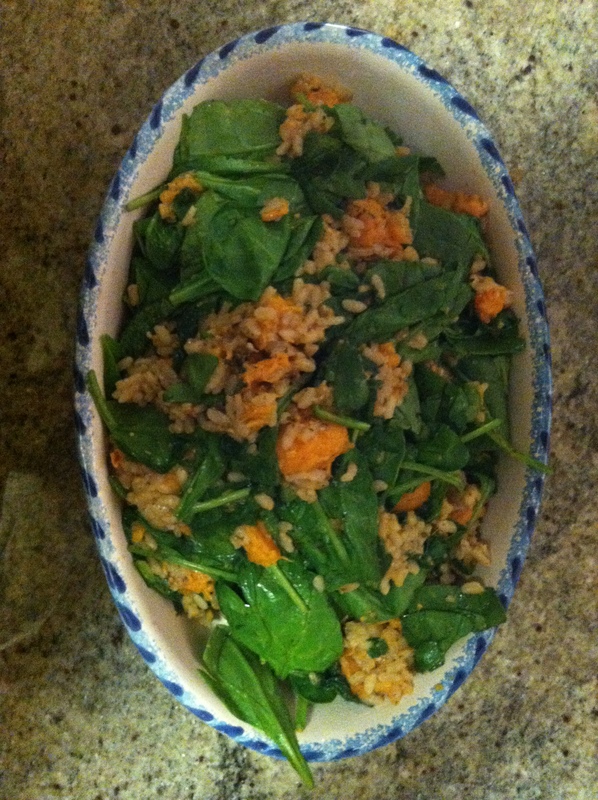 Right before the risotta is complete, add the 1/2 bag of spinach, stir together and serve. *You can use vegetable stock in place of chicken stock and also leave out the white wine if you’d like. 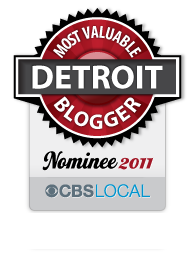 This entry was posted in Food, Fridays w/ Steph and tagged detroit, fall, Food, Michigan, recipes, summer. Bookmark the permalink.